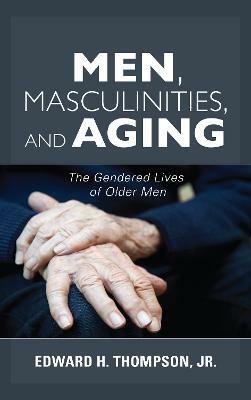 Men, Masculinities, and Aging introduces readers to the gendered nature of aging men's lives. Edward H. Thompson, noted for his work on men and aging, explores the intersections of ethnicities, class, geographies, generations, and masculinities. The book offers a fresh perspective on men's experiences with bodily aging, growing older in an ageist society, and navigating the virtual absence of cultural guidelines for being an aging man. The book also provides a sociological theory framework on how men navigate their social aging as they experience later life and very late life. Turning points such as grandfathering, the changeover from work to retirement, and the onset of health problems or becoming a career are discussed at length as Thompson frames these natural occurrences as now ordinary experiences as aging masculinities are no longer rarities. The book will provide educators, students, researchers, and practitioners a means to question standard assumptions about aging men and discuss what underlies most later-life masculinities. Edward H. Thompson, Jr. is professor emeritus of sociology at the College of Holy Cross. He is noted for his research on gender relations and family life and is the author or editor of several books, including Older Men's Lives, Men as Caregivers, and A Man's Guide to Healthy Aging. He is active in the Gerontological Society of America.